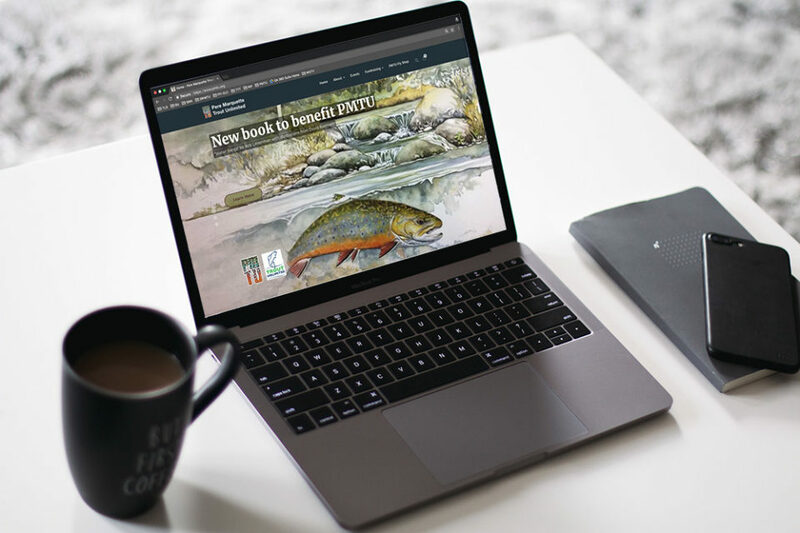 I recently had the opportunity to work with Pere Marquette Trout Unlimited to launch an entirely new website at pmtu.org. PMTU is a fairly new Trout Unlimited chapter, established in 2016, and has done most of its digital communications via Facebook. With an upcoming fundraising event and an opportunity to sell a newly published book looming, they had an immediate need for a high-quality website that would last a long time. In a matter of two weeks, and with limited resources, we launched a fresh approach for a local Trout Unlimited website. This was a great project to work on and I’m looking forward to helping out PMTU for years to come. They are a wonderful group of people working to protect the awesome Pere Marquette River. And a quick plug for PMTU — check out the new book “Water Songs” by Bob Linsenman!